Welcome to the all-new Cigar of the Month Club at Escobar Cigars. For the incredibly low price starting at $49.95 (including standard shipping), you’ll get a premium collection of 5 handmade Escobar Cigars each month. We make it easy for you to activate your account by giving you the options to pay monthly with a recurring charge or to prepay for six months or a full year. Your first collection will be shipped to you the day after your order is placed and on the 3rd Wednesday of every month thereafter. 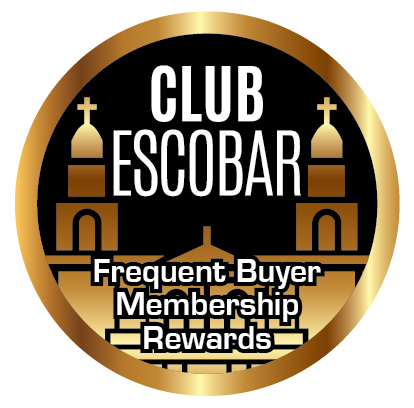 We know you're going to love the different assortment of Escobar Cigars you receive monthly. Looking for a gift for your favorite aficionado? Order them a subscription. It’s the perfect gift for the holidays or any other occasion. Cigar of the Month Club Membership can be cancelled at ANY time. There will be no refunds issued for pre-paid subscriptions upon cancellation.